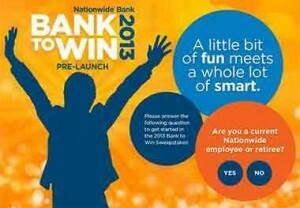 www.nwbanktowin.com – 2013 Nationwide Bank to Win Pre-Launch Giveaway. This Sweepstakes has ended! Nationwide Bank (nationwidebank.com) is a company owned by the Nationwide Mutual Insurance Company that offers a wide variety of products and services. Including; Online banking, Auto loans, Mobile banking, Life insurance, retirement plans, Mutual funds and much more. For more info or if you want to explore the full range of possibilities of their products and services you can visit their official website at www.nationwidebank.com. Concerning the 2013 Nationwide Bank to Win Pre-Launch Giveaway Sweepstakes you must visit www.nwbanktowin.com sweepstakes and follow the on-screen instructions to enter this promotion. This promotion ends on September 8th, 2013. Good luck! Sweepstakes Prize(s): One (1) Grand Prize: a 16GB, Wi-Fi-capable, mini tablet computer. ARV of the Grand Prize is $330.00. 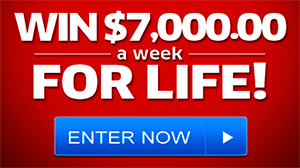 Sweepstakes Open To: Legal residents of the 50 United States and D.C.